You are here: Home / Immigration / Are You Qualified For The Canadian Citizenship Application? 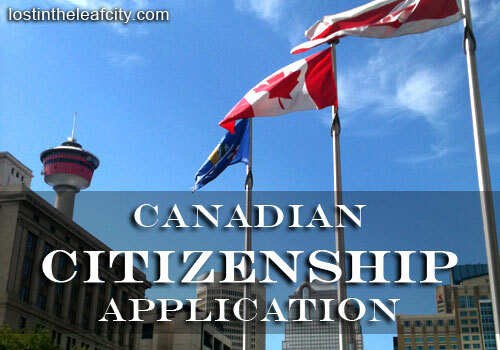 Are You Qualified For The Canadian Citizenship Application? Citizenship requirements for physical presence, language and knowledge changed on October 11, 2017. The popular question I can see online is “How to immigrate to Canada,” and next to that is anything related to Canadian citizenship application. We can all relate to these questions especially since the processing fee for Canadian citizenship is getting higher. When will it ever decrease or at least stop increasing? Instead of focusing on the changes, I started to prepare for the Canadian citizenship test and learn the process of applying for citizenship. Find out if you are qualified. You can move from one section to another in no particular order. Or if I’m missing something, you can remind me on the comment. Reminder: Before we move on, I’d like to remind you that you DON’T have to pay anything other than the fee mentioned below. You may end up on a website offering an online assistance to apply for Canadian citizenship for a FEE. It’s unnecessary. DO IT YOURSELF. You can apply for Canadian citizenship by following the steps in this blog post. Are you one of those who were affected by the changes in the Citizenship Act? If yes, we are on the same boat. And it may continue to change since Bill C-6, the act to amend the Citizenship Act, hasn’t been finalized received Royal Assent on June 19, 2017. Be a permanent resident, 18 years of age or older. Intend to live in Canada. Have filed income tax returns for at least 3 years during the last 5 years with fully or partially paid of any amount owed. Prove the proficiency in English or French (applicants 55 years of age or older are exempted). Answer questions to find out what language proof you can submit. Present in Canada for at least 1,095 days (3 years) in the 5 years before you apply. Present in Canada for at least 183 days (more or less 6 months) during 4 years within 6 years before you apply. Language Proof for Filipinos: Include in the requirements the photocopy of your high school diploma and college transcript and diploma written in English; otherwise, search for a translation service. Are you confused with the days within years or years within years? Because I am. To get the correct total of days of residency in Canada, use the physical presence calculator. The result shows if you have stayed long enough to qualify for Canadian citizenship application. It also computes how many more days are required before you apply. Note: If you are qualified, print a copy of the calculator result and attach it to your application. You can get the complete and updated application package on the website of CIC/IRCC: Application for Canadian Citizenship for Adults. Check the requirements way ahead of time especially the diplomas from other countries. I discovered that my high school diploma was written in Tagalog; it required a translation service in Immigrant Services Calgary for a fee which depends on the word count. For the complete details of the requirements and how to answer the form, read the Instruction Guide. The application form for MINORS is also in the guide. The ONLY way to pay for the Canadian citizenship application is through online. The IMM 5401 payment receipt is acceptable only if it was dated by a Canadian financial institution before April 1, 2016. The right of citizenship fee ($100) is refundable if the application is refused. This is the final stage of applying for citizenship. The complete and updated address of the Case Processing Centre is found in the Instruction Guide. My mantra when it comes to the application is to always check. Check. And check again. Read and change any typos. Sign the forms. If the application is for more than one applicant, send all the applications in the same envelope. But remember, if at least one of the family members’ application is incomplete, ALL the applications will be returned. Based on the IRCC’s website the processing time for the citizenship application is 12 months from date of submission. I have a good news especially for those who are done reviewing for the citizenship exam. Some of my acquaintances received the letter for them to take the Canadian citizenship test within three months. It may not happen to everyone but it is best to start studying right after the submission of the application. Even better, start NOW. As for citizenship in general, I consider it as a right and privilege. (No intention of setting up a stage for a debate showdown.) Immigrants, permanent residents, and the likes have worked hard to meet the qualifications. Not everyone made it here in Canada. Some have tried several times before stepping on the Canadian soil; while others left as part or not of their plan. Luck or fate, you are one step closer to become a Canadian citizen and even have a dual citizenship (eg. Filipino-Canadian). For those who have made it this far, strive to continue to become a responsible citizen upholding the values and embracing diversity. Are you ready to become a Canadian citizen? How are you preparing for the test? Thank you very much for the wonderful post. I am a Filipino myself and am starting to look at the requirements (over a year too early, I must say). Regarding the proof of language skills, would transcript and diploma suffice or does the application need to include 3rd party English proficiency results like TOIEC? Jerry, high school and college diplomas would be enough but make sure that these are written in English; otherwise, translation (here’s how to do it in Calgary) has to be made. Good for you that you are getting ready for the application. And make sure to get ready for the exam as well. Getting a copy of the reviewer would be much better than a PDF.